This is a project I finished a while ago for Maddy's nursery. I'm a firm believer in hair accessories for little girls. When I found out I was having another little girl, I made a ton of hair clips to add to Maddy's hats and headbands. So as you can imagine I needed something to organize her collection. Sorry there are not a lot of descriptive photos for this tutorial but it was so easy I am confident you will be able to make it without them and as always feel free to ask questions. I started with a picture frame I found at goodwill for $4. I cleaned it, took the glass and mats out of the inside, and spray painted it white. I replaced the glass with cardboard. You don't have to do this but I wanted to hang mine up with ribbon so I was trying to make it a little lighter. I wrapped the cardboard with fabric and hot glued the ends of the fabric to the back. Then with a pencil, I marked where I wanted my ribbon to be, spacing them evenly across the fabric. I hot glued the top of the ribbon to the back of the board and then wrapped it around the front glueing the bottom edge to the back of the bottom of the board. Make sense? I used this butterfly cabinet knob from Lowe's to hang it from. Did you know you can make those cute little picture knobs you see in the PB kids catalogs from any cabinet knob? 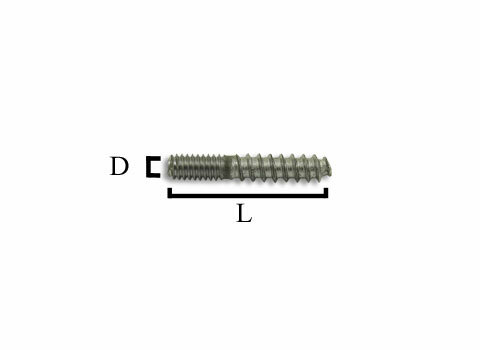 You just need a knob hanger bolt screw. Like the one below. You can get them here. I used a staple gun to attach the ribbon to the back of the frame and then tied the bow on top. We've added several more bows and flowers to her collection since this picture but you get the idea. You could also add cup hooks to the bottom to hang headbands from. 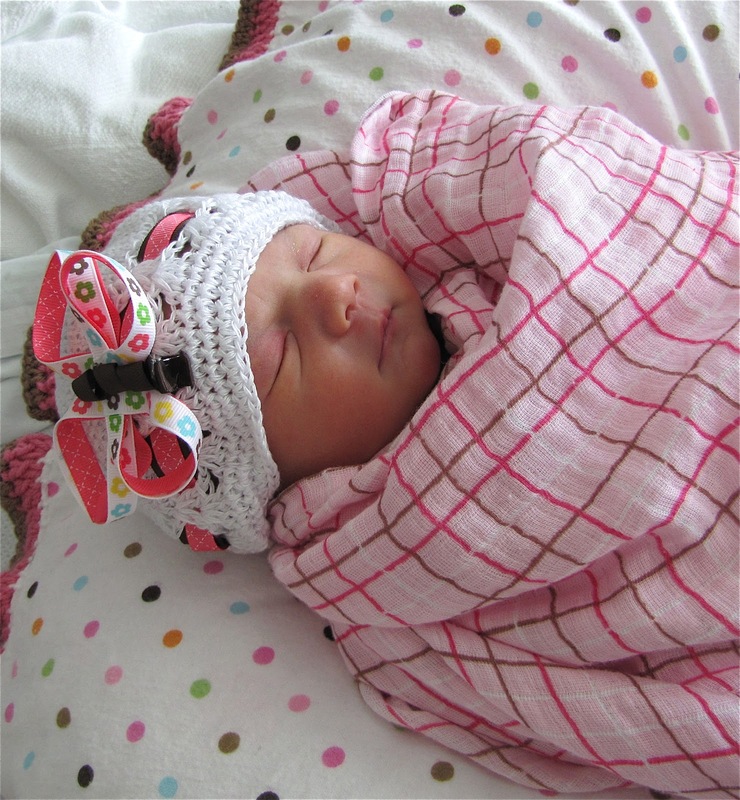 Here are a few pictures of my sweet babies and the hair clips I made for Maddy's hats.